The title of this post is quite attention-grabbing and packs a powerful message. It certainly caught my attention when the quote was dropped on inbound.org by Dharmesh Shah on April 3rd. He gave Brian Clark, a.k.a. Copyblogger, credit for it; but later, Brian posted that it wasn't his quote. After doing a little research, I found that the source of the quote was "unknown," so I don't know who to give actual credit to. No matter -- the attention it garnered on inbound.org and the action it received on Twitter meant the message resonated with a lot of folks -- as it should. Brands stuck on the second page of Google or beyond for their primary, secondary and tertiary keyword phrases are mostly there not because of poor or lack of SEO, but because of poor marketing and PR in general. It used to be that marketers could tweak their websites in such a way that they would miraculously slingshot to the first page of the search engines. Innovations in Google's search algorithm over the last six years have mostly put an end to this. The tried and true task of link building was another way marketers could catapult their websites to optimum search visibility. 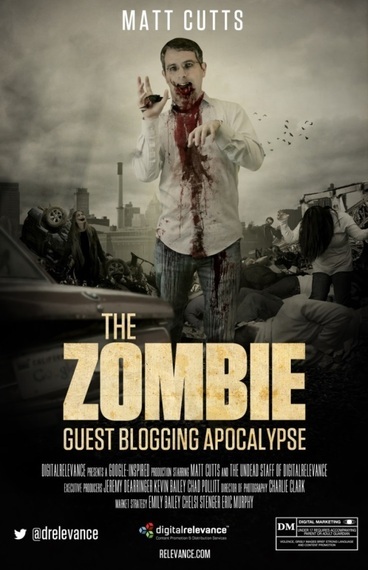 This practice has evolved from forum and blog commenting link dropping, to guest blogging at scale for links. For the most part, Google's algorithm has cleaned this up as well; and where it falls short, its engineers are manually penalizing websites, or removing them from its index altogether. The nuances of Google's latest action against guest blogging at scale are discussed here. The philosophy that we've always had is if you make something that's compelling then it would be much easier to get people to write about it and to link to it. And so a lot of people approach it from a direction that's backwards. They try to get the links first and then they want to be grandfathered in or think they will be a successful website as a result. Gaming search algorithms is much less likely to drive substantial visibility today. The best and safest way to do SEO is just good old-fashioned marketing and PR. This new reality points to search engine visibility being a trailing indicator of good marketing. So if a brand can't show up on the first page of Google for hardly anything, it's time to breathe new life into its marketing. It's no secret how the top ranking brands really do SEO. They achieve optimal search engine visibility by doing incredible marketing, not by constantly tweaking their websites or by link building. More specifically, they deliver utility to the audiences that frequent their sites. Marketing speaker and New York Times bestselling author Jay Baer wrote a whole book on creating and delivering utility through marketing. Matt Cutts says, "I would concentrate on the stuff that people write, the utility that people find in it, and the amount of times that people link to it." He continues, "All of those are ways that implicitly measure how relevant or important somebody is to someone else." If a brand can create something that is inherently useful and solves problems for its audience, people are likely to talk about it, cite it and share it and the media might just report on it. These are the links that determine relevancy that Cutts is talking about. Brands like Moz and HubSpot have mastered delivering utility through marketing. So much so, in fact, that it's had a profound impact -- not just on their search engine visibility, but on their brand as a whole. Rand Fishkin, co-founder of Moz, says, "...the Beginner's Guide to SEO and the Search Engine Ranking Factors were seminal works. They helped establish our brand, build an audience, and create credibility in the market. Without them, it's tough to imagine that Moz could be where it is today." Dharmesh Shah, co-founder and CTO of HubSpot explains, "...grader.com (which started life as WebsiteGrader.com) has been our best performing piece of content, ever. This is based on the number of leads it generates on an ongoing basis. Of course, like other high-impact content, building a tool does require an investment -- but when it works, it can work really well. We can trace millions of dollars of revenue over the years to grader.com"
The deck below goes into greater detail on how both Moz and HubSpot deliver utility through marketing and how you can, too. Creating true utility through marketing and promoting it to influencers and the media is what drives search visibility today, as described by the Future-Proof Link Earning Guide. Brands with search visibility problems need to take a much closer look at its marketing and PR efforts because rankings are now a trailing indicator of good old-fashioned marketing. 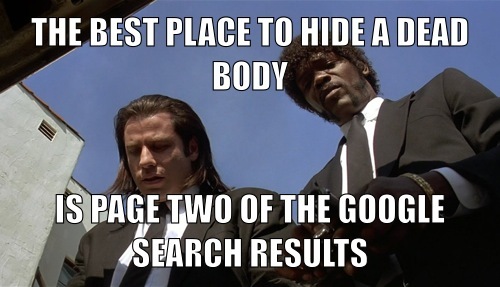 That's how brands know if their marketing is dead, if it's hidden on the second page or beyond. Business Public Relations Search Engine Optimization Search Engines P.R.